As an OU Law alumni outreach program, OU Law brings cookies and OU Law swag to law firms and organizations for an informal meet-and-greet. After our Sidebar visit, you may see photos or videos from our visit on the college’s social media. If you would like for us to come visit your firm or company, please contact Laura Palk at lpalk@ou.edu, Camal Pennington at cpennington@ou.edu, or call (405) 325-9175. 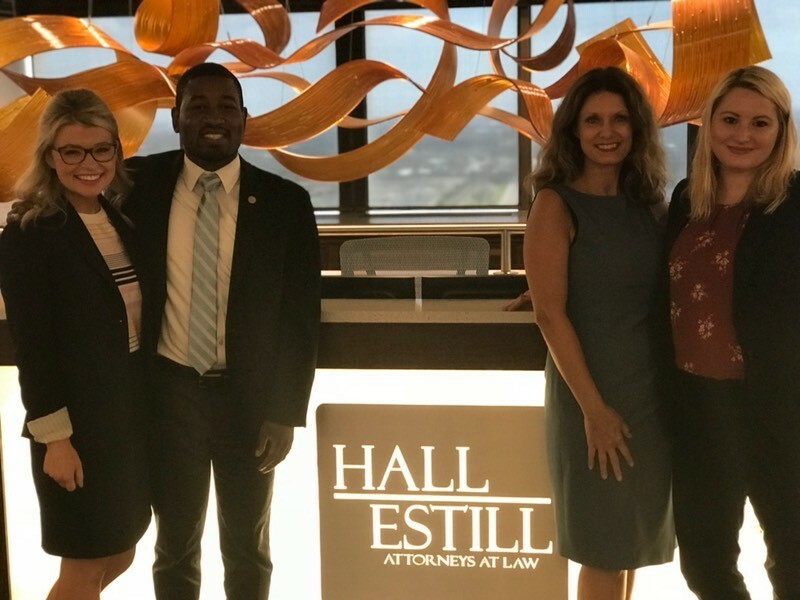 Thank you to Hall Estill's Oklahoma City office for hosting us in June 2018! 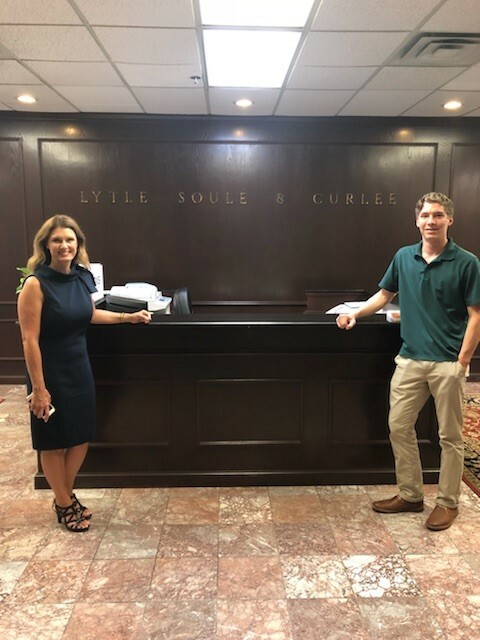 Thank you to Lytle Soulé & Curlee for hosting us in July 2018!